Very few people and companies cannot attest to fact that plumbing problems can occur even at night causing sleepless nights and irritation to the household. At 24 Hour Plumber Melbourne, it is where we understand that not all plumbing hitches happen at the expected time. Therefore the company offers solutions to all plumbing problems at any given time, at any given place or locality. It is here that all your plumbing problems are solved within the shortest time possible. Our team of professionals works hard to ensure that every plumbing problem gets a perfect solution immediately it is reported. It is what we give to our clients what makes us do what we do. Plumbing has not been that easy but at 24 Hour Plumbing Melbourne, we try our level best to give a long lasting solution to all plumbing issues. We greatly value our customers and ensure they get nothing but the best plumbing solutions at any time of the day. The company boasts of many years of experience in providing premium rate 24 hour plumbing services to all locals of Melbourne and the entire Australia at large. Quality Services Offered by 24 Hour Plumbing Melbourne. 24 Hour Plumber Melbourne brings you blocked drains service close you. We don’t clean the blocked drains the normal way; we have qualified plumbers to fix the issue with a professional touch. We embrace technology and use state of the art machines to clean your drainage systems with a hygienic touch. We leave your drainage better than we found. Leaking taps can be a menace in your home or business unit, at 24 Hour Plumber Melbourne, we work round the clock to fix all the leaking taps with our state of the art tools that tighten your taps never leaking again and ensure you save big on water bills. Other Services Offered by 24 Hour Plumber Melbourne. 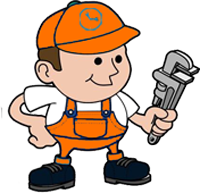 24 Hour Plumber Melbourne is no more than a call away. Call our able team to solve all your plumbing needs. We value all your call, make that maiden call. Our dedicated staff works round the clock and waiting for your call at any time of the day or night.